Given that I love my footy (NRL) always have, always will. It would be remiss of me to not share my thoughts about the Mitchell Pearce incident. First I want to make this abundantly clear I UNDER NO CIRCUMSTANCES CONDONE his actions at all. Second I had a very quick viewing of the video and yes it is stupid but it is not nearly as bad as I was expecting to be honest! 1. 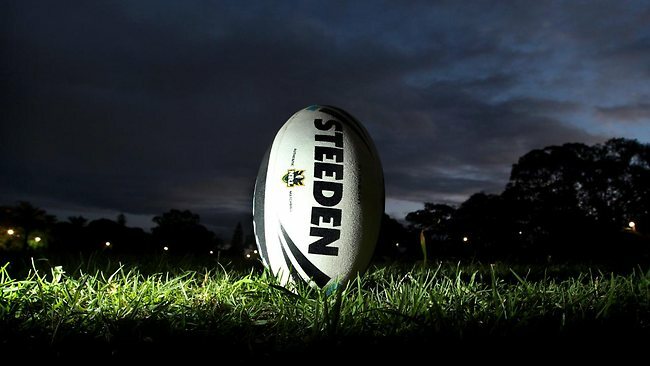 Super League – How has Super League contributed you might ask. Because it brought money and HUGE money to the game but not just to the game to the players themselves directly. Many will argue this is bad thing. I will argue that it is a good thing. Sportsmen and women have a very short lifespan to earn money in their chosen profession. In fact many of them cannot make a professional living out of their sport but that is an argument for another day. Many people would argue that the court jester is getting paid the big $$, they don’t take it seriously and don’t appreciate how fortunate they are to be able to do the one thing they love, have a talent for and get paid for it. There are plenty of men and women who play their sports on the weekend and play for the love of it. They would love to be paid but they have to make a living elsewhere. So why don’t these players appreciate the gift of money that they have? Most likely because the players who make it to the elite level have grown up their entire lives being told they are fantastic! You don’t get to the elite levels and get paid the big bucks without a little bit of an ego. They don’t realise it is a gift because the players playing now this is how it has always been. There has always been big $$ around the game, in fact I would argue many of the top grade players now would be lucky to even remember Super League let alone the time where players played the game for the love of it with a small amount in the pocket at the end of the game. Rugby League only became a truly professional sport in the sense of players being paid huge money in the mid-late 90’s with the Super League Wars and then the reunification of the game. Players were then paid big $$ to become professional sportsmen overnight. This meant that they went from having part-time jobs and trying to play full-time football including full-time training to not needing to have to hold down the part-time job. This in my opinion also meant that they lost that sense of “down to earthiness” and gained a sense of entitlement almost overnight. In addition to this we rapidly had a group of largely young men with no real life experience, many still living at home, with a real sense of hero worship around them (especially with the girls – honestly the stories I could tell! ), and all of a sudden they had lots of money and lots of time! Clubs were very slow to respond to the fact that players had lots of time on their hands and lots of money to spend in that time. This meant that in the early years players sat around a lot and drank or carried on like clowns A LOT! There was a time when I had a Football Manager (still prominent in the game) who would ring me at work to ask about things at home and give me an update of the backyard cricket game that was taking place in my backyard. Or the time I had a call at work from a player how could they get their ball back when our next door neighbour had just appeared at the fence with an axe in the middle of the day because they had the music up and the ball went over the fence! I suggested just get a new ball much easier. Sure these are tame incidents but I am in no way going to dish the dirt on players I knew, know and love for the people they are not what they did for a living. Footballers have always done dumb things, and in part it is how we react to those dumb things that will determine whether or not they learn from their actions/punishment and try to redeem themselves. Or whether they ultimately think it is funny and just can’t work out where the line is and continually cross it. It also has a lot to do with the people you surround yourselves with. Some clubs have worked out that players need to do more than spend time in the gym, training, doing strength/conditioning and doing PR events for the clubs. They try to engage the players in some form of education to give them something for the end of their careers. Let’s face it there can only ever be so many ex players as commentators. This of course doesn’t ever change the people that they surround themselves with. and these behaviours and in turn clubs/families better support these young men to avoid this happening in the first place. So what is the second factor? 2. The rise of smart phones. I believe has had a HUGE impact on why we hear so much more about these players and the stupid antics they get up to. Honestly, there are players I know who have exposed themselves in public, this was dealt with in house, the people involved embarrassed the player rather than the other way around. I know players who have walked off the ground uninjured only to fall out of the back of a ute to injure themselves again, other players who have broken bones after games have happened through drinking accidents. I also know players who want nothing more than to go out and have a drink with their mates and to be left alone, only to have young women with very little respect for themselves throwing themselves over and over and over again at these players. Many of the stories I could tell are of young men who have gone on to be extremely successful still in their chosen sporting fields or as businessmen, or doing really good things for the community. These men if these stories had hit the media then could have ruined their careers (as they have done for many players in today’s era Todd Carney, Joel Monaghan et al) and they would then not had the opportunity to redeem themselves and go on and do great things. There are so many more stories that I could tell and I could name, names but I won’t because frankly it isn’t relevant. Add to that I was trusted by these men to keep their confidences. However, there were also no smart phones around. No-one took photos of everything we did every moment of the day. I love my iPhone as much as the next person, I would even go so far as to say I have an anxiety attack if I don’t know where it is but we do not need to take photos of every minute of every day. We especially do not need to video “pseudo famous” people doing dumb things with a view to humiliate them or maybe even to make a quick buck. I have heard reports that the owner of the video has earnt upwards of 60k for the sale of the video. In recent times we see every mistake, drunken antic of every person but perhaps we just don’t need to. Perhaps Mitchell Pearce’s mates would have been better served taking him home much earlier. Who knows. Certainly and without a doubt Mitchell Pearce was an idiot and did dumb things on Australia Day, at a private party! But did he consent to being videoed? Do people have the right to video people doing stupid things without their consent? Even more than that do they have the right to then on sell that footage? What I don’t understand (and never will really) is why do people stand around and video people (famous or not) doing really dumb things, in really drunken states, clearly unable to make any appropriate choices but rather than help them we stand around and video and watch in a voyeuristic manner to get a laugh out of other people’s misfortune or to make a quick buck from someone who is famous doing dumb things! Please do not get me wrong I again reiterate I in NO WAY CONDONE Mitchell Pearce’s actions at this party. He has made some appalling decisions the first being to drink a lot of alcohol and the rest flowing from there. But should these decisions ruin his career and future? Would he be better served being put into some form of alcohol rehab program to assist him to see why he has an issue with alcohol? Lastly, I would say that we as parents of children who potentially look up to sportsmen and women as role models, maybe we are also just a little bit to blame. Maybe we should find other role models for our children, maybe we as parents should be their role models, maybe we should use these incidents as learning opportunities for our kids to show how stupid we can look when we drink alcohol. What I do think is that whilst ever we have a tall poppy problem in Australia and I honestly think we do have a big tall poppy problem, we will forever hear about the stupid antics of stupid sportsmen and women who surround themselves by people who won’t look after them when they need them most. I also believe that footballers (of any code) and the drinking culture that surrounds most sport (and aspects) of the Australian way of life are really a microcosm of the wider society at large. I think if we looked just below the surface of our young people we would find lots and lots of young men drinking to this state and doing these lewd acts every weekend. Which is a big part of the problem. I don’t believe that it should be only up to footballers to fix this in society. We as a nation need to accept that we have an issue with alcohol! How about we start looking for the good that players do (because even the ones who do dumb things do good things!) and stop looking for the dumb in everything. I heard recently of a young player who had a childhood condition that he has been able to overcome and go on to play AFL at an elite level as was his childhood dream. It was brought to his attention that there was a young boy (that he had never met and didn’t know!) who had recently been diagnosed with the same illness and was about to be confined to a wheelchair. The player reached out in a very personal way to this young boy and gave him some hope from his personal story. How about we look for more of that and the media stop reporting on the rubbish. Maybe if we start looking for the good and stop talking about the bad they might start wanting good publicity so will try to earn it. We know the dumb happens and splashing it all over every paper and news broadcast for a week won’t change that. As far as punishment goes. I believe strongly that Mitchell Pearce should be held accountable for these actions regardless of how they have become public. I think a 12mth ban out of the sport that included some drug and alcohol rehab. He should also have to undertake some sort of volunteer work in and around alcohol abuse and the impact it can have on families. I would also like to see him giving back to juniors in the game in some sort of closely supervised coaching roles. The punishment needs to be a deterrent but it should also be a learning opportunity for Mitchell, the club, the league and perhaps even other players. Regarding the media I would love them to simply stop reporting, if they get this information by all means hand it to the clubs, their employers to handle but really aren’t we all just a little bit over hearing or reading about another badly behaved footballer whatever the code? amazing things. I know this for fact that if many of the young men I know from back in the day were rubbed out like some are these days they wouldn’t have gone on and done some of the amazing things they have and that would have been a bigger shame. Well said and I couldn't agree more! !